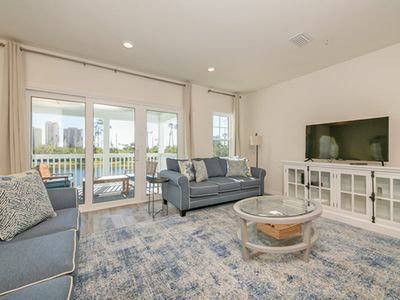 You will enjoy A FRONT LINE GULF UNIT with granite in the kitchen and bar, HDTV, tile floors in kitchen and part of spacious living area. 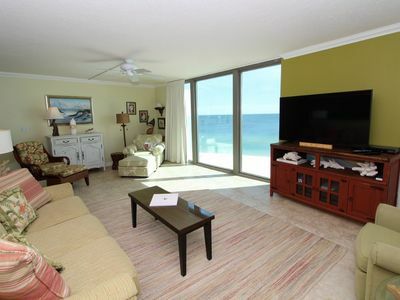 Welcome to your condo on Perdido Key! 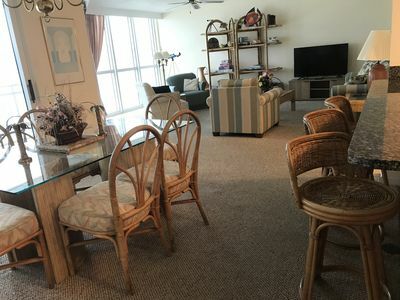 This condo offers 1,390 square feet of space, unusually spacious for a 2 bedroom 2 bathroom condo on the Key. 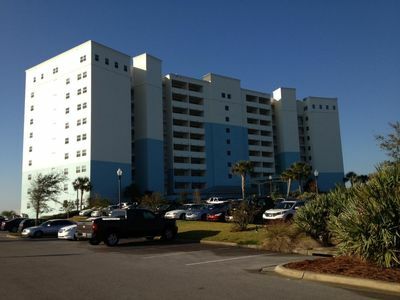 Just a 45 second walk directly in front of your two elevators to the beautiful powder-soft, white-sand Perdido Key beach. We sleep up to six: There is a queen bed in the spacious master retreat, two single beds in the guest room, and a queen sofa bed in the living room. 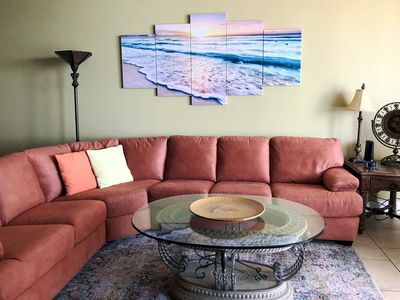 This immaculate and inviting condominium on the penthouse floor is a well-appointed place where you will have fun in the sun, enjoy a leisure walk on the beach, watch a beautiful sunset and at the end of the day relax in the comfort of your own home. 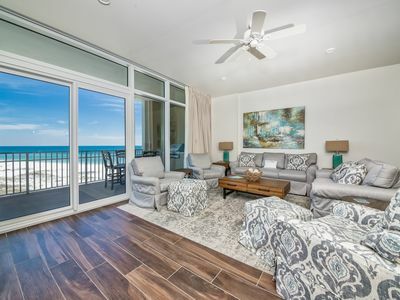 Our floor to ceiling glass runs across 85% of the long, Gulf-facing dining and living area, offering a stupendous and unobstructed Gulf view. Lots of advertisements say they are 'close to the beach,' but here the beach is literally just steps away, with no streets to cross. You are right there! Our guests repeatedly say that’s why you take a beach vacation. 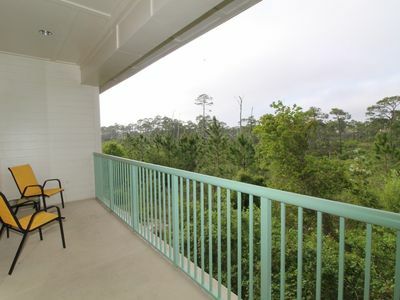 Your master retreat enjoys a view of Ole River and Perdido Bay from our 10th floor location. The master also has an en suite vanity area and an unusually deep and large whirlpool bath. The complex contains three buildings. 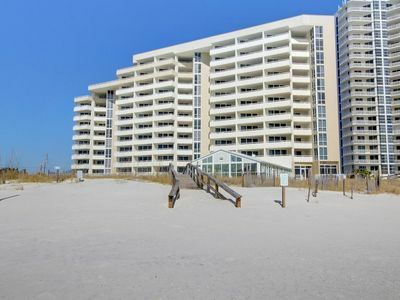 Our West building and the next door East building each possess an easily accessible beach walkway and beachfront pool. Our West building pool is state of the art zero entry. There's also a large hot tub at the ground floor of the East building. The Riverside building boasts a pool located adjacent to the serene Ole River. The beach access walkways, all three pools and hot tub are available to all complex guests. The complex boat/fishing/sunset-watching dock and large, easy-to-use boat launching ramp are on the Ole River adjacent to the Riverside building pool area. Free boat dockage and trailer storage are available on a first come, first serve basis. Guests also enjoy two lighted tennis courts. A large and fully-equipped exercise room with TV (and Gulf and pool views) is on the ground floor of our building. 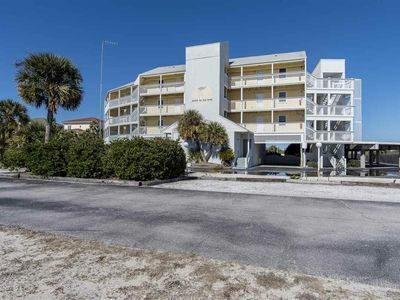 The SeaSpray complex is easy to find – immediately west of the tallest building on the west part of Perdido Key and 1.25 miles east of the renowned Flora-Bama Bar at the Florida-Alabama boundary. 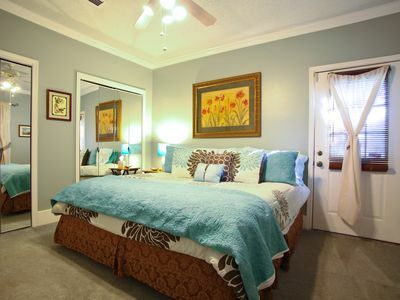 This large condo is definitely a 'home away from home' with all imaginable amenities. The central dehumidifier and ceiling fans leave you in comfort without having to blast the HVAC system. Broadband DSL through Comcast cable local area network offers 100.00 mbps instant internet connections for your laptop. We have wifi connectivity. 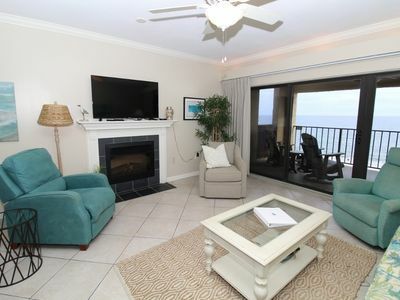 Three TVs including an HDTV, cable, DVD, VCR, and CD keep you well entertained while not at the beach or area attractions. 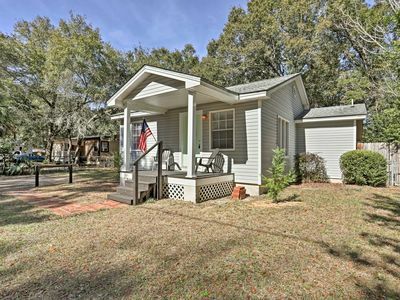 A full kitchen, with granite countertops, flat-top stove, microwave, ice maker, dishwasher and all dishware, cookware and utensils, is included for your convenience. There is a separate dining area with table comfortably seating six. Bed linens and other necessities are provided for your care-free holiday. A washer and dryer make packing easy. Onsite parking is available. Try al freso breakfast and dinners on our balcony with its table and four chairs. Bonus! 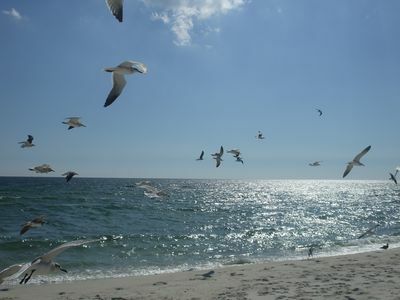 Take the family on a long excursion from our beach to the east to enjoy the long Gulf Beach State Park. There is no better way to enjoy the beautiful scenery and pristine beach while you are also getting some fun exercise. The rental truly provides more than you expect and everything you could possibly need for your vacation. 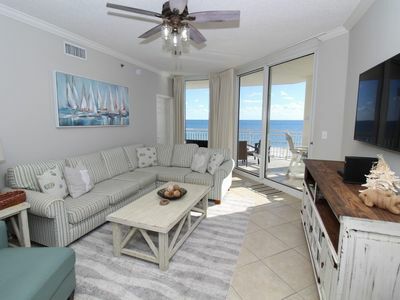 The quaint and not-overly-developed Perdido Key is the perfect get-away destination to relax. The sugar-white, powder-soft beaches are a sight to behold, as is the clear navy-blue-to-turquoise-to-emerald-green water. From the beach and especially from our balcony and Gulf front windows, dolphins can often be seen playing. Blue herons, sea gulls and sand pipers are visible at almost anytime from our high perch. In fact, sea gulls often fly within 15 feet of our floor to ceiling windows. Golf! 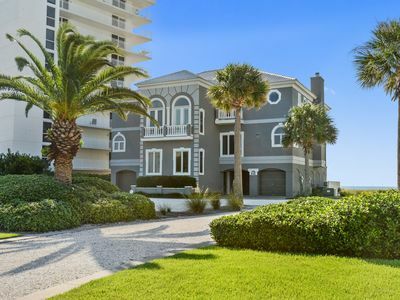 There are numerous Championship Golf Courses within a short distance of SeaSpray including Arnold Palmer's Lost Key, Kiva Dunes, The Peninsula Club, Gulf State Park, and Sportsman's Golf Club (former site of the PGA's Pensacola Open). 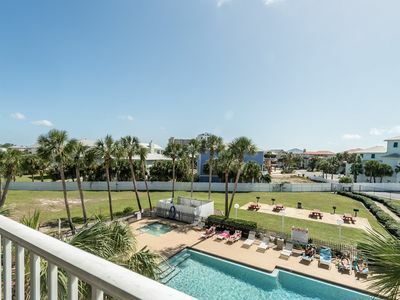 Activities include hiking, biking, fishing from our Ole River dock, surf fishing, deep sea fishing, jet skiing, sail boating, scuba diving, snorkeling, kayaking, and wind surfing. We are a convenient, 0.75 mile drive to a convenience store and several excellent restaurants, 10 minutes east or west to supermarkets. Spend a day doing absolutely nothing on your beach or enjoying the many area attractions. Then come home to an elegant space with a stupendous view. You've earned a great get away. 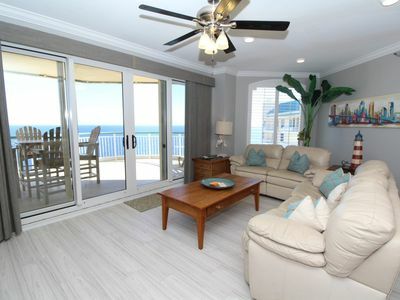 Do not wait to book your time on Perdido Key. 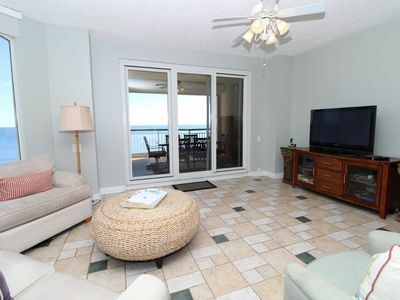 Shipwatch D701- Beach Front Views from Terrace with Coastal Interior! 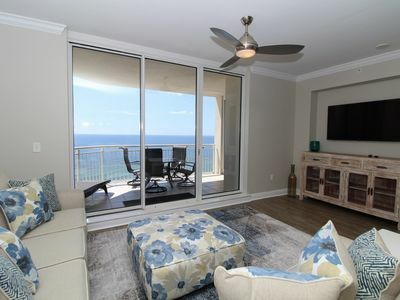 Waterfront Luxury Condo with Fantastic 8th Floor View! 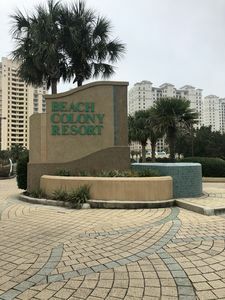 Beach Colony Tower Penthouse 18C- Beach Front unit with large terrace! 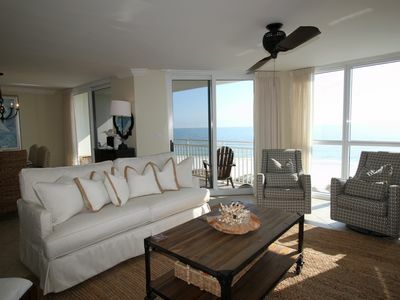 Indigo East 1205- Beach Front Unit with Luxurious Interior and Amenities! A Favorite for Friends and Family with beach service! Vista Del Mar 402 - Put a little spring in your step!